There are beauty boxes, snack boxes, fitness boxes and now there is the baking box. Since the Bloggers Food Festival back in July, I have been eagerly awaiting Bakedin to launch The Baking Club. What is The Baking Club I hear you ask? Well it’s a unique baking kit developed exclusively by Michael Roux for Bakedin, and is delivered through your letterbox every month. Simple. 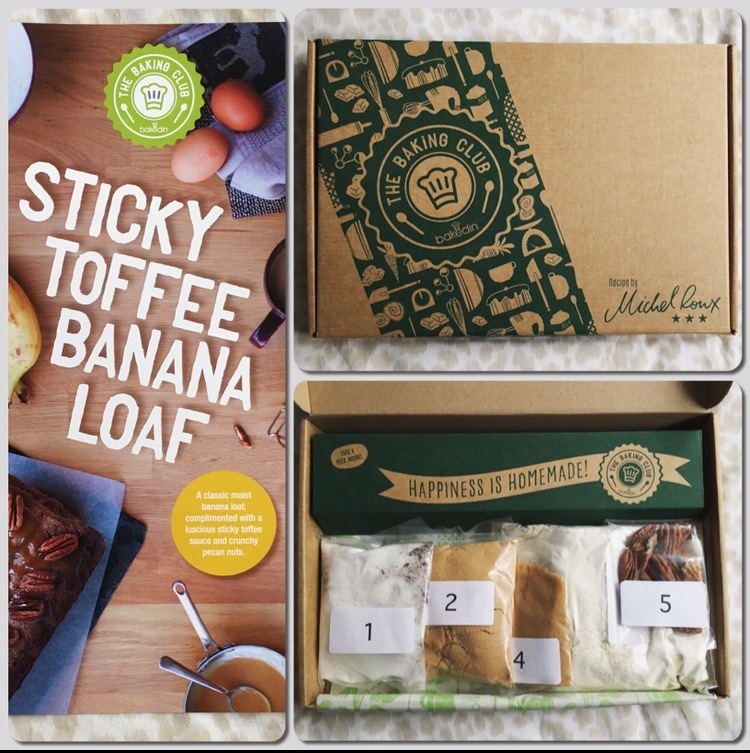 This month marked the launch of their very first The Baking Club box with none other than Sticky Toffee Banana Loaf. The kit contained all of the pre-weighed dry ingredients you’ll need, an easy to follow recipe card, a conversion card, skewer and baking paper. You will of course need one of the basic tins and a few fresh ingredients, however I did receive an email beforehand to let me know what I would need. The easy to follow recipe card was indeed easy peasy. 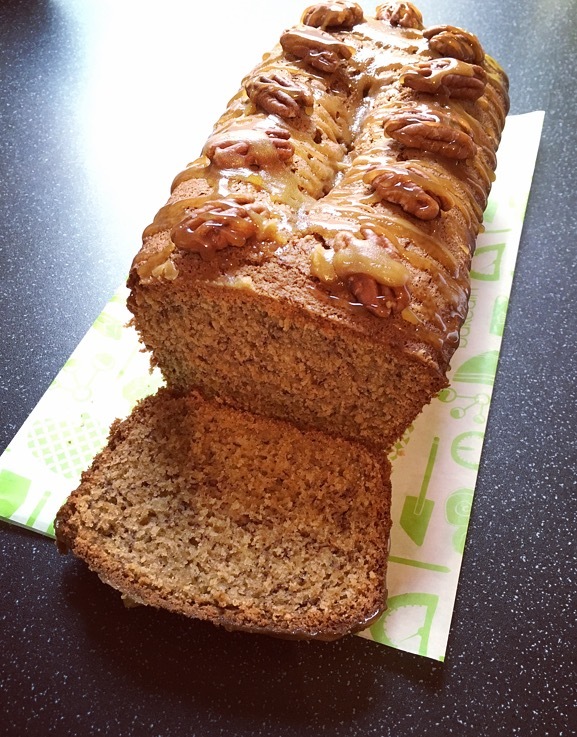 8 simple steps, 15 minutes preparation, 50 minutes bake, and hey presto 1 Sticky Toffee Banana Loaf. The steps referred to the labelled bags 1, 2, 3 etc, which really made for effortless and easy preparation. I did happen to spy a tiny mistake and that was the milk – ‘1tbsp / 30ml’ of milk. For those hot on it you will know 1tbsp is 15ml, so you can imagine the quandary I was in about how much milk to use, especially when the ingredients say 15ml and the step said 30ml. 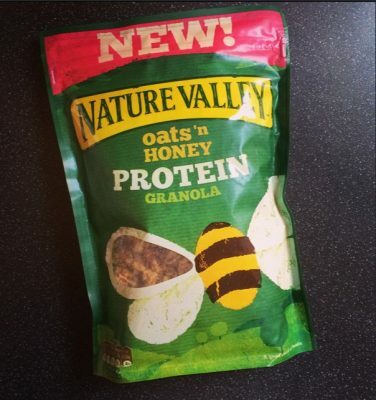 Onto the important factor…. Taste! I have had my fair few disasters with banana bread and was a tad fearful of how this would turn out, but fear not readers it came out a treat. It had risen, was golden brown and smelt deliciously bananaery. Best served slightly warm, the brown sugar gives it that depth of flavour you just do not get from simple caster sugar. 2 bananas is ideal for a subtle banana flavour to carry through the loaf, with the sticky toffee being the perfect accompaniment. 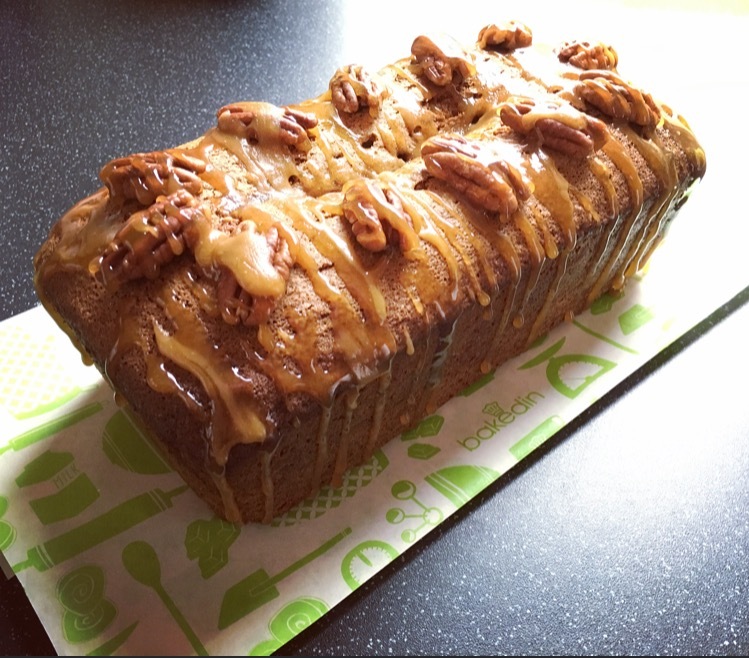 For me the pecans are neither here nor there, but nonetheless a bloomin scrummy loaf that hasn’t lasted long in our house. Are there any draw backs? If you wished to bake this again, there weren’t any exact measurements of the dry ingredients. 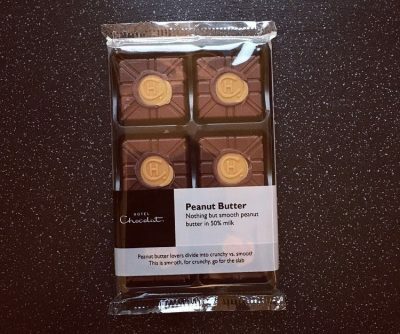 Bakedin are however already onto this and have updated the recipe card online and will now be including this on their printed ones in future kits. Secondly although you are getting a unique baking kit, when you think of the price of ingredients subscription is also a little pricey at £9.99 per month. The jury is out on if the price is warranted and I will be seeing what the next Baking Club box has to hold before making my decision, so watch this space! For all things Bakedin including getting your first The Baking Club box half price, visit their website here.